First trailer for the Ian McEwan scripted drama. Screenwriter Ian McEwan adapts his novel On Chesil Beach, with Dominic Cooke making his directorial debut. In the 1960s set drama, Saoirse Ronan and Billy Howle star as newly-weds who begin to question their decision while honeymooning. 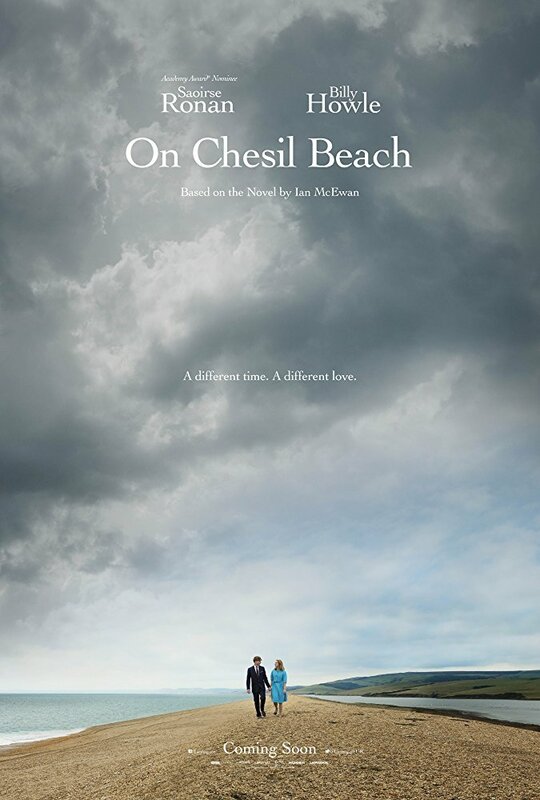 On Chesil Beach is in UK cinemas June 15th. Their conversation becomes more tense and awkward, as the prospect of consummating their marriage approaches. Finally, an argument breaks out between them. Florence storms from the room and out of the hotel, Edward pursues her, and their row continues on Chesil Beach. From a series of flashbacks, we learn about the differences between them – their attitudes, temperaments and their drastically different backgrounds. Out on the beach on their fateful wedding day, one of them makes a major decision that will utterly change both of their lives forever.